With public support for unions surging, historian Erik Loomis has produced a timely book called A History of America in Ten Strikes. It’s more comprehensive than the “Ten Strikes” title implies; with some 150 events listed in the appendix, it might have been more accurately called “A History of America in 150 Labor Events.” There is some danger of the reader getting lost in the multitude of scenes of gun battles and such between workers and Pinkertons or police, but Loomis does well at extracting a coherent narrative arc from how these instances show the importance of the government’s attitudes and actions towards labor. That narrative begins with the brutal inauguration of the Industrial Revolution in the U.S. between 1820 and 1850. The courts regularly ruled in favor of employer rights, and unionization efforts were hard-fought and short-lived. Loomis continues by describing slaves’ resistance and rebellion, culminating during the Civil War, when they fled plantations as the Union Army approached. They simultaneously freed themselves and undermined the Confederate war effort, as it depended on revenues from the sales of slave-grown cotton. This is the freshest chapter in the book, as slavery is usually omitted from American working-class histories. The Gilded Age that followed the war saw widespread strikes and a growing movement for the eight-hour workday. The Knights of Labor grew rapidly in the context of national railroad strikes, but their membership collapsed in the wake of repression after the Haymarket bombing that killed four police officers in 1886. This opened the way for the more conservative American Federation of Labor, which focused on uniting craft workers (who were overwhelmingly white men) rather than the entire working class. Even so, employers intensely resisted them. A rare labor victory came in a Colorado gold-mining strike in 1894, when the governor declared the owners’ private army illegal. The Progressive Era marked a turning point. President Theodore Roosevelt’s administration at times attempted to respond to strikes in a balanced way; as a candidate for vice-president in 1900, Roosevelt had sided with striking mine workers, although they didn’t win recognition for their union. Workers’ struggles during this period aligned with middle-class reformist outrage at child labor and abysmal working conditions. Loomis argues that this was not effective in improving the overall condition of the working class, and thus spurred greater radicalization. Slavery is usually omitted from American working-class histories. This led to the growth of the Industrial Workers of the World, with its aspirations for “one big union” and a general strike to bring down capitalism. Loomis criticizes many aspects of the IWW, including its sectarianism, its violent rhetoric and its tendency to jump from one place of struggle to another. Yet he also writes admiringly about its free-speech struggles and its occasional ability to overcome racial divisions among workers by rooting itself in working-class struggles. It was not able to survive the repression during and after World War I, however. 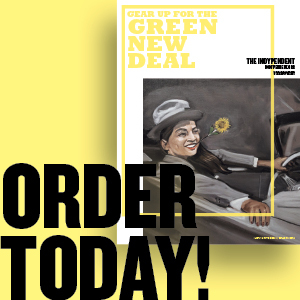 The 1930s saw a landmark breakthrough, with a rising labor movement in industry benefiting from virtuous cycle of sympathetic actors in government facilitating greater organizing, and greater organizing enhancing the power of sympathetic actors. Unsurprisingly, Loomis highlights the Flint sit-down strike of 1936-37, in which the United Auto Workers won their first contract with General Motors. Michigan’s New Deal governor, Frank Murphy, helped by not sending the National Guard to crush the strike. After World War II, pent-up demand produced a wave of strikes. In Oakland, a fight against the Retail Merchants’ Association and the Republican political machine snowballed into a general strike, but it dissipated amid racial and gender contradictions. Not long after, the Taft-Hartley Act of 1947 hobbled unions and anti-Communist witch hunts purged many of their most militant and dedicated members and organizations. In the 1960s and 1970s, public-sector unionism expanded, in tandem with militant social movements. Much of the union movement, however, was out of step with the anti-war, civil-rights and feminist movements (and vice versa). Efforts by young workers to remake the unions in the anti-authoritarian spirit of their generation proved largely unsuccessful. The 1972 wildcat strike against the pace of work at a GM plant in Lordstown, Ohio, failed to fundamentally shift work relations. The deteriorating economy and accelerated deindustrialization of the 1970s worsened the situation for unions. In Atlanta, Mayor Maynard Jackson, whose election had been a triumph of the post-civil-rights era, fired 1,300 striking sanitation workers. This was a preview of President Ronald Reagan firing striking air-traffic controllers in 1981. Loomis portrays their union, the Professional Air Traffic Controllers Organization (PATCO), as isolated from the larger working class and the public. It made a fateful miscalculation when it endorsed Reagan for President in 1980. The crushing of PATCO was a decisive moment — an announcement that the federal government was openly antagonistic to unions, encouraging corporations to abandon the post-World War II social contract of accepting them. In his final chapter, Loomis uses Justice for Janitors to highlight the way union struggles have refocused on immigrants doing service work. Recent struggles noted include opposition in Wisconsin to Gov. Scott Walker’s attacks on public-sector unions, the Fight for $15 campaign and the Verizon strike of 2016. Out of 150 labor events, Loomis has crafted a clear narrative arc, beginning with the courts’ rejection of practically any rights for workers. American workers fought back and eventually attained more sympathy from government. During the New Deal era, workers’ rights expanded, and new federal laws and policies facilitated the expansion of unions. But after the economic downturn of the 1970s, the business community went on the offensive and governmental allies largely disappeared. But new strategies of fighting back are being developed. 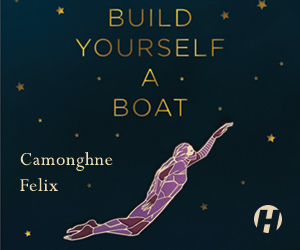 The story is well told and peppered with vivid details. Members of United Teachers Los Angeles on the picket line this January. Crediti: Wilson Pumpernickel. Inevitably, there are omissions. The Teamsters’ UPS strike of 1997, the Great American Boycott staged by immigrants on May 1, 2006, and the Chicago Teachers Union’s 2012 strike all go unmentioned. These may hint at a direction of organizing and action as important as that mapped out by Justice for Janitors. The Chicago teachers’ strike in particular led the way for the Red for Ed teacher strikes of last year, which renewed the idea of the strike and struck at the red-state model of low taxes, poor public services and anti-union laws. 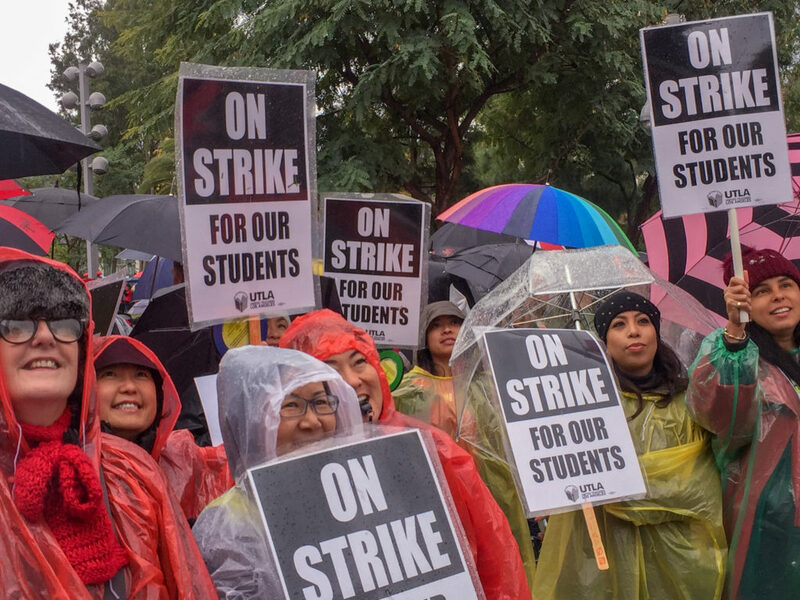 Then this January, teachers went on strike to challenge privatization in the Democratic redoubt of Los Angeles. Loomis emphasizes the need for the labor movement to welcome all workers regardless of race, gender or immigration status, and the importance of working through the existing American political system by engaging with the Democratic Party. That’s good advice. But given all that is described above, can we defer forever eliminating the concentration of economic power in the business class? 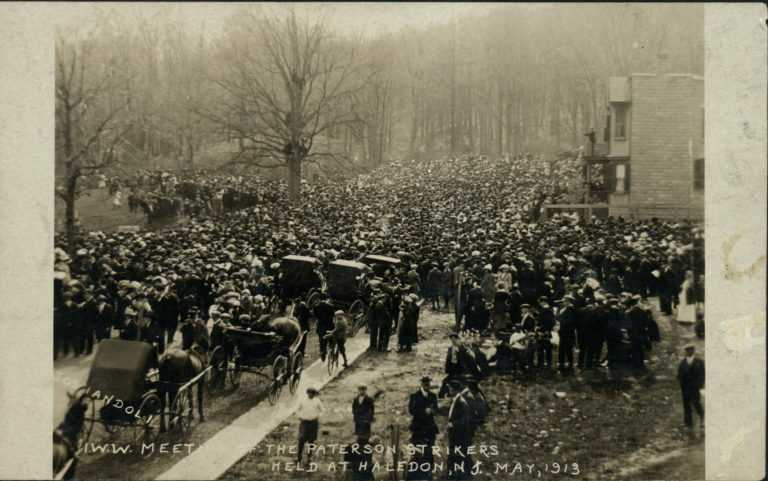 Photo (top): Striking IWW members in Paterson, N.J., 1913. Credit: Paterson Museum Archive.